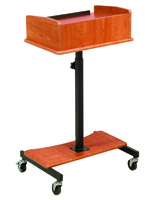 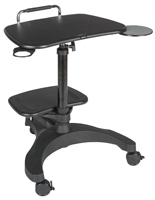 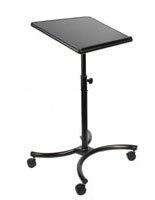 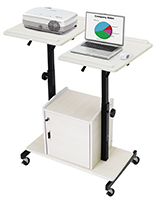 This rolling laptop podium combines classic lectern design with AV cart usability features. 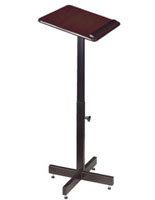 Each adjustable height speaker's stand features a steel pole base with four caster wheels (2 locking). 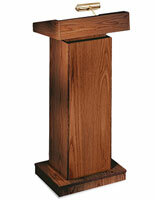 The portable laptop podium's base plate and lectern top are constructed from durable MDF laminate in a neutral maple finish. 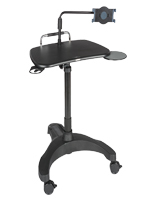 The versatile fixture adjusts to heights from 39" to 49" tall for maximum usability. 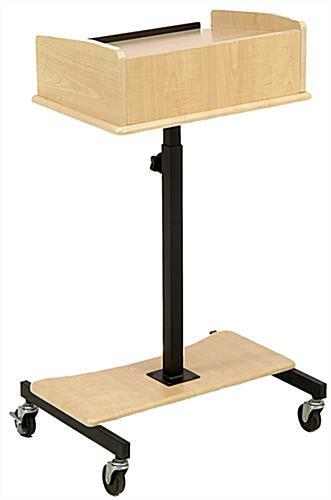 The maple finish laptop podium's lectern top offers a pull-out accessory shelf in addition to three different tilt settings. 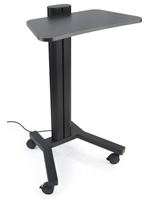 This stylish 24" wide fixture is ideal for use as a lightweight speaker stand for presentations and meetings or as a mobile workstation.